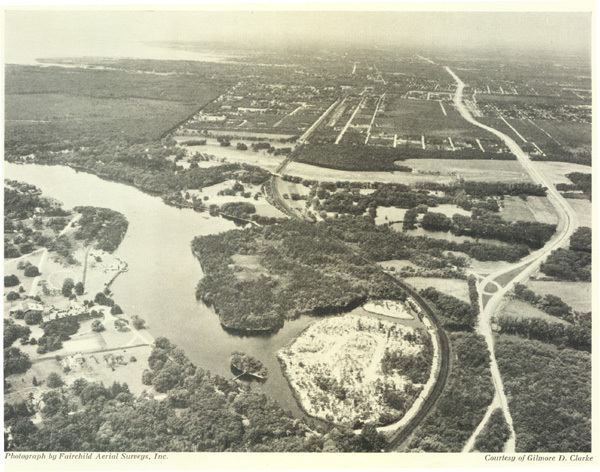 In 1936 the Long Island Park Commission accepted on behalf of the State of New York a deed of approximately two hundred acres near the northeasterly boundary of Heckscher State Park. Mrs. Bayard James made this gift in memory of her father, William Bayard Cutting. Mr. Cutting and his brother, Fulton, had started the sugar beet industry in this country in 1888. He was a builder of railroads, operated the ferries of New York City, and developed a part of the south Brooklyn waterfront. Mr. 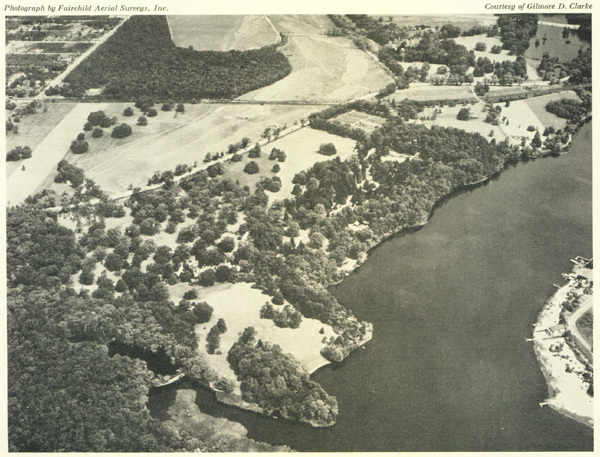 Cutting started the development of the property in 1887 in accordance with plans made by the well-known landscape architect, Frederick Olmstead and carried forward by Mr. Fred Sparks, a resident of Great River until his death in the summer of 1968. The Great River Estate, known as "Westbrook" originally consisted of over one thousand acres. Only part of this area was deeded to the State of New York. 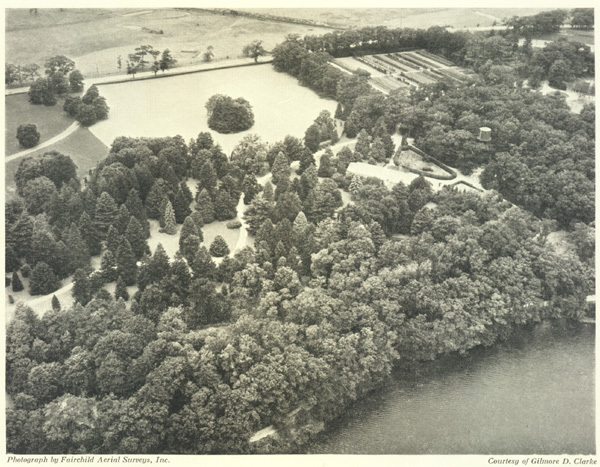 In 1938, Mrs. James donated an additional three hundred eighty-two acres, and her mother, Mrs. William Bayard Cutting, established an endowment of over $1,000,000 for the maintenance of the arboretum. Mr. Cutting was a sportsman, lover of nature, and a gardener of great ability. 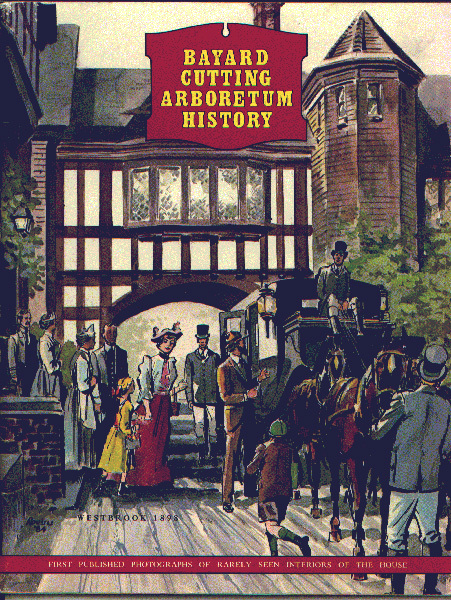 He took a special interest in Westbrook and the unusual variety of plants and pinetum from all parts of the world, which are found in the arboretum, reflect his taste and discrimination. The purpose of the arboretum, as expressed in the deed of gift is . . . "to serve as an oasis of beauty and quiet so that said premises may be a source of pleasure, rest and refreshment to those who delight in outdoor beauty and to serve to bring about greater understanding on the part of both the general public and all those professionally concerned with landscape design, of the value and importance of informal planting, and thus to be an influence in preserving the amenities of our native landscape." Today, residents and visitors alike enjoy the cultivated gardens, trees, plants and shrubs that have been imported from all over the world. 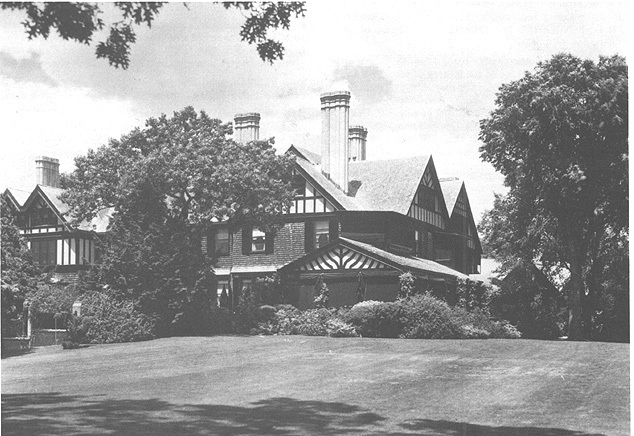 This beautiful landscape was conceived by the noted landscape architectural firm of Frederick Law Olmstead. It contains a wide variety of species of trees and plantings, including fir, spruce, pine, cypress, hemlock, yew, and other lesser known conifers. Also found are dwarf evergreens, rhododendrons, azaleas, hollies, and oaks. Wildflowers and daffodils are featured in many native woodland locations. Adjoining Heckscher State Park, the Arboretum is home to a broad range of land and aquatic birds, and visitors occasionally see foxes, raccoons, and other small animals. The former Cutting Residence contains magnificent fireplaces, woodworking's, stained glass windows, and a small Natural History Museum featuring an extensive collection of mounted birds. Arboretum Director for information on these programs. The Arboretum definitely fulfills its purpose of providing a beautiful, quiet place for visitors. Educational Programs for individual adults cover subjects relating mostly to horticulture, with others on history, cooking, ecology, etc. Guided Tours of the Arboretum are offered to School Groups, and are probably best for older children studying horticulture or botany. Directions: I-495 east to exit 56. South to Montauk Hwy. (Rt. 27A). East to Arboretum. Time: 90 minutes from the George Washington Bridge. 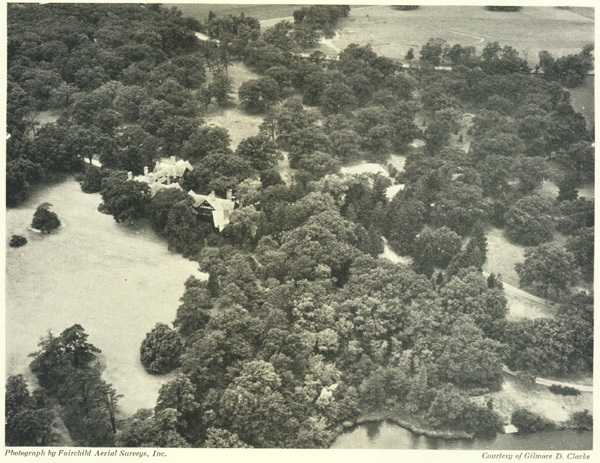 The Cutting Estate, located on the east side of the Connetquot River, was purchased in 1880 from Pierre Lorillard, by the Cutting family and in 1886 the mansion was built. 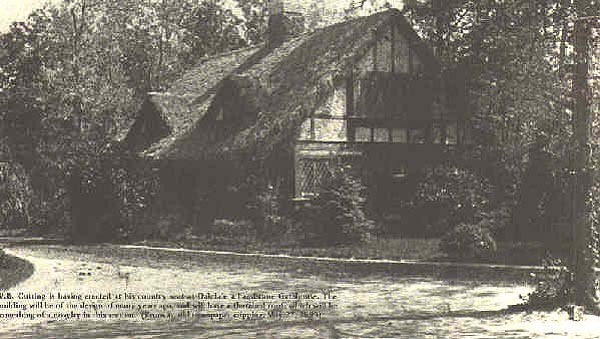 This cottage on the estate, situated near the southwest corner of Great River Road and Montauk Highway, originally had a thatched roof made from Scotch Heather, brought over from Scotland every few years. These shipments were no longer possible with the onset of the first World War. The thatched roof could be seen from the railroad station located nearby. This Book can be purchased at the Arboretum.